Modern business practically requires a UPC tracking system. Barcodes and scanners speed up numerous business processes, including ordering, receiving, picking, and selling products. They also ensure the accuracy of inventory records, preventing errors from creeping into the data. So let’s talk about the implementation of a UPC tracking system in a business. First, you need to get an inventory tracking solution that is fairly easy to learn and use on a daily basis. 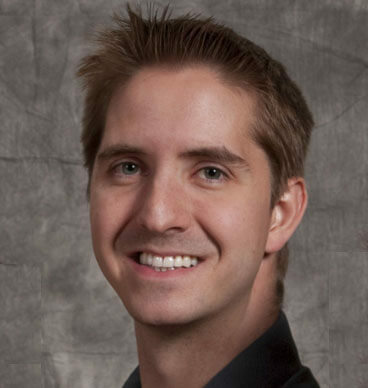 This software should allow you to monitor inventory levels in all of your warehouses and set auto reorder points for any product or part to prevent shortages. It should also integrate with your accounting software, such as QuickBooks or Xero. Barcode scanners – These are the most common pieces of equipment you imagine using to scan UPCs and other barcodes in your warehouse. 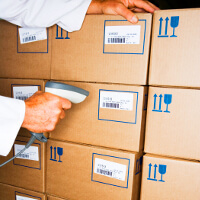 Barcode tablets – You can also use tablets to scan barcodes and instantly access your inventory tracking data. Barcode printers – You need printers to print out barcodes, item labels, picking lists, and other things. Network devices – Strategically placed network devices allow warehouse workers to stay connected to the inventory tracking system while scanning barcodes in any part of the warehouse. Third, train your employees on how to use the hardware and software you’ve purchased. Then assign them to various tasks, such as checking the accuracy of inventory numbers, entering newly received items into the system, and pick, packing, and shipping products. It’s important to make a clear delineation of people’s roles so that you can organize their efforts. Your inventory tracking software will most likely have different user logins, so you can easily tell who makes changes in the system. You can also set limits on each person’s user rights so they only have access to the areas of the software that they need to be able to do their jobs. After that, it’s just a matter of creating a schedule for cycle counting, reordering, and receiving orders. Try to do these things on a regular basis. It all depends on your inventory turnover ratio, types of products you sell, number of warehouse workers available, and other factors. An inventory tracking system that uses UPCs and barcode equipment is much faster than a system that relies on pen and paper. So it’s ideal for companies that are growing and working with a large number of products in multiple locations. Fishbowl Manufacturing and Fishbowl Warehouse are affordable UPC tracking systems that integrate with QuickBooks and Xero, and they help companies do everything else listed above. 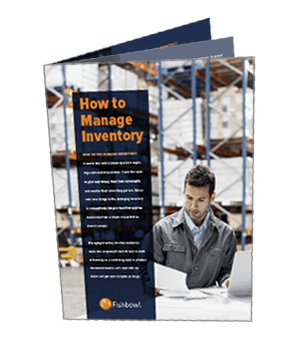 Download a free trial of these inventory tracking solutions today!